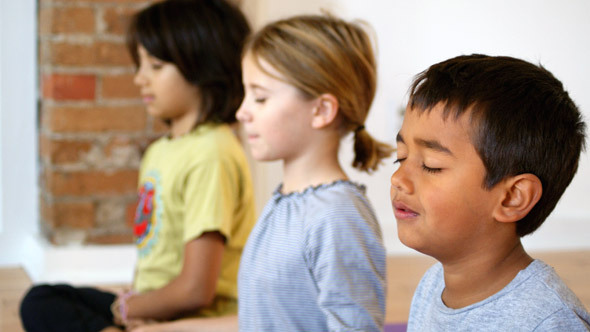 Imagine if meditation was a regular part of school life for children. Just think how different the world would be. If every child was able to connect to the ocean of consciousness that permeates all that is, the desire to do wrong by others would dissolve. Meditation allows us to discover through experience the truth of who we really are. What if we never started running from ourselves in the first place? What if we learned to be at peace with ourselves from an early age? If schools taught meditation, children would unearth their own passions, their own interests and their own creative potential. They would not be so bothered by their own insecurities and would learn to live for the moment instead of always reaching for somewhere where they are not. Meditation helped me find meaning in my own life. I would not be following my heart and trying to change the education system if it weren’t for meditation. It connected me to the deepest yearning of my own soul, and aligned me with my life’s purpose. Children who practise meditation on a regular basis would not be so prone to stress, worry and illness. They would also develop stronger bonds with all living things and have less of a need to compete with their peers. I believe it is crucial for us to give children this gift of mindfulness. It is my hope that one day the practice of meditation will become as commonplace as cleaning one’s teeth. Many clinical studies have proven that meditation increases the brain’s cortical thickness, protects the body from disease, and significantly improves focus and concentration.